Len McCluskey, Stevie Deans and the Labour party were right all along over Grangemouth and the Falkirk selection process but it is too late now. Don’t let it happen again. Owners of the Grangemouth oil refinery and petrochemical plant have dropped legal action against the Unite union. Following the innocence and vindication of our yellow press’s “public enemy number one” Stevie Deans, the Unite Union Convener involved in the Grangemouth dispute, we find today that the company involved Ineos are back in the news. Not satisfied with intentionally causing the dispute to give it an excuse to target its workforce which they did most brutally, Ineos today at the High Court in London withdrew their legal action against the Unite Union whom they had accused of making "untrue and defamatory comments". They have also had to pay costs of £100,000. So, the deliberate Ineos provocation accompanied with their lies about Mr. Deans which forced him out of his job and gave them the opportunity they sought to destroy the livelihoods of 1,000 workers and increase their profits cost them £100,000. This is Capitalism in action, red in tooth and claw, destroying the lives of ordinary decent working people and demonising them as well as some kind of anti society criminals. Every accusation by the company, the unctuous right wing media and even David Cameron the Prime Minister who called Mr. Deans a “rogue trade unionist” in the House of Commons has been proved to be bogus but, guess what? the damage is done and the millionaire capitalist owner of the firm who initiated all this is gone, he is back on his fancy yacht counting his money while the people he maligned and trampled on are left to pick up the pieces of their now damaged lives. The Unite Union leader Len McCluskey has also been vindicated and everything he said has turned out to be truthful. There is a topical and very fashionable tendency today for everyone who has been wronged to demand an apology, the gutter press usually like to lead these campaigns but I suspect that they will not be leading a campaign for apologies on behalf of Stevie Deans, Len McCluskey, Unite and the Labour Party in considering that it is them who should be offering the apologies as well as Cameron and the shameful bullying company Ineos. “Don’t mourn, Organise” (Joe Hill) that is what we have to keep doing, learn the lesson, remember who our enemies really are, I offer this advice as well to those in the Labour Party who turned against their own union brothers and sisters and their political comrades. It’s not rocket science comrades, brothers and sisters, when the main news outlets are condemning union action and persecuting union members, trying to destroy individual union officers and doing everything they can to damage the Labour Party,along with attacks from the Tories and the snp, make sure you don’t find yourself on their side, that is as they say today a “no brainer”. When Cameron describes a trade union member in the House of Commons as a rogue trade union member and the Daily Mail accuses Len McCluskey of being a threat to democracy and an enemy of Britain you should not have to think hard about “which side you are on” as the famous union song puts it. The next attack on Labour and the unions which comes along and you can rely on it that it will come along, will surely get you to remember what happened at Grangemouth, learn the lesson, stand together and don’t let it happen again. UNITE AND STEVIE DEANS VINDICATED OVER GRANGEMOUTH AND FALKIRK LABOUR PARTY. THE LIARS (TOO MANY TO NAME) SHAMED. The snp,The Tories, the Libdems, the right wing gutter press, the whole reactionary establishment in fact are now coming to terms with the news that Mr. Stevie Deans the ex UNITE union convener at Grangemouth was in fact not guilty of the accusations made against him by those I have listed and many more. The old fashioned witch hunt which cost him his job and nearly destroyed his life was brutal and without mercy, unfortunately those guilty people will get off scot free when they should find themselves in court. The UNITE union and it’s equally vilified leader Len McLuskie have been vindicated and their accusers have been exposed as liars and reactionary thugs, following a lengthy investigation the police have found no case to answer. 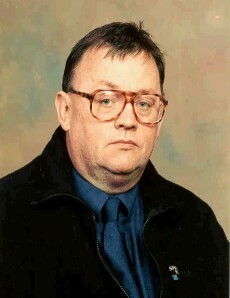 There was no criminality involved, there was no law breaking and there was no interference with the selection process in the Falkirk Labour Party, some of whose members quite shamelessly and inexcusably joined the side of the anti union anti Labour hordes in an attempt to discredit Mr. Deans and UNITE, and indeed the Trade Union Movement. They are the infiltrators, the deviants, the ‘flinching cowards and sneering traitors’ we sing about when we sing the Red Flag, we are better without such people. The treatment of Mr. Deans by the company Ineos and the media was like a fascist purge and trust me, they will be back for another go, the company should be sued along with the news outlets who tried to destroy him. And disgracefully and unforgivably the snp were as opposed to the Grangemouth workers as any right wing capitalist yob could be, the snp are now bitterly opposed to the unions, the people of Scotland will not forget that, just as they will never forget that it was the snp who brought Thatcher to power. From now on we should remember the case of Stevie Deans when these deceitful pious hypocrites lecture us about union abuses, they are the real abusers and we must never forget that, the class war between them and us has never gone away and behaviour like theirs guarantees that it still has to be fought. If you ever wonder about the strength of Tory and upper class determination to crush organised Labour consider the case of Arthur Scargill who today is still being stalked by them and being lied about some 30 years after the miner’s strike. This is because government papers have been released which unequivocally prove that Scargill was right when he made his claims about the intentions of Thatcher to close the coal industry down. The BBC announced in relation to the revelations “it looks as though Mr. Scargill may have been right after all” “may have been right” this is the voice of class warriors who can’t bring themselves to utter the truth. The old questions and causes are still with us and the fight remains fundamentally the same, do you want people like Cameron and Osborne to form our society in their image, poor people being treated like animals, wages being cut while rich bankers trouser millions in bonuses, civil liberties being eroded and much more?. If you don’t then be assured you will have to stand up and be counted, you will have to organise and become politically aware, you will have to fight. I choose my words carefully when I say this is a war, for us a just war and we have to win, it’s the future we are fighting for, remember “ye are many they are few” as the great poet Shelley said in support of the working classes, his words are as truthful now as they were when he wrote them in 18 19. ARTHUR SCARGILL - STILL STANDING - STILL DEFYING THE TORIES - A UNION MAN TO BE PROUD OF. If the Telegraph or “Torygraph” as it’s known is correct when it states that Arthur Scargill tried to make a killing by using ‘right to buy’ to purchase his flat in London then I can’t help but wonder what he did with all the money he was given according to the same sources by the Russians and Colonel Gadaffi? . I also noted that the BBC said that “it looks like Arthur Scargill may have been right after all about pit closures” this stems from recent disclosures which reveal unequivocally that he was indeed right. All these years later the establishment can’t say the words Scargill was right. The fact that the right wing establishment are still on his case after all this time suggests to me that he should feel proud of his actions. We need trade union leaders today like Arthur Scargill, how much have the bosses and their parliamentary wing in the Tory party spent over the past years to try to discredit Scargill, Benn, Livingstone, Skinner etc.?. We are all in this together the Tories and their cowardly Libdem partners tell us, Scargill and people like them knew that we will never all be in this together until we rid ourselves of the rotten to the core capitalist system which allows parasites like Cameron, Osborne, the truly odious Clegg and Boris Johnstone to thrive. Don’t be fooled by these people this is a class war we are involved in and the enemy does not recognise any rules, in a decent society they would be recognised for what they are, low life criminals. Reports of our demise are however an exaggeration to paraphrase Mark Twain, we are still standing and we will continue to struggle, we have to it’s a struggle for the future. FIDEL CASTRO STILL FIGHTING, STILL DEFIANT AND STILL INSPIRATIONAL. A happy New Year to the incredible El Commandante himself Fidel Castro who made a public appearance at an art exhibition in Havana Cuba on Wednesday January 10th. 20 14. At the age of 87 years. More frail than we are used to seeing him but still an impressive and imposing figure as he was photographed among cheering crowds. He was seen chatting with the exhibition organisers and local artists. Reports say that he has retained all his legendary intellectual sharpness and is up to speed with world events and political situations. He was seen to be alert and able to discuss ideas and stories in an animated and vigorous way. He continues to defy convention and remains an inspirational figure to Socialists and progressive people worldwide, like his close friend and comrade the late Nelson Mandela he is truly worthy of being called a legend. The story of how he, with a handful of poorly equipped comrades one of whom was the equally famous and revered Che Guevara took on the most powerful military power in history America and eventually triumphed against it is indeed the stuff of heroic legend and will live forever. Wherever there is oppression, wherever people fight for freedom and where there is injustice his name will continue to inspire. Along with Mandela I regard it as a privilege to have shared the planet with him for 65 years and I hope we continue to share it for many more years.